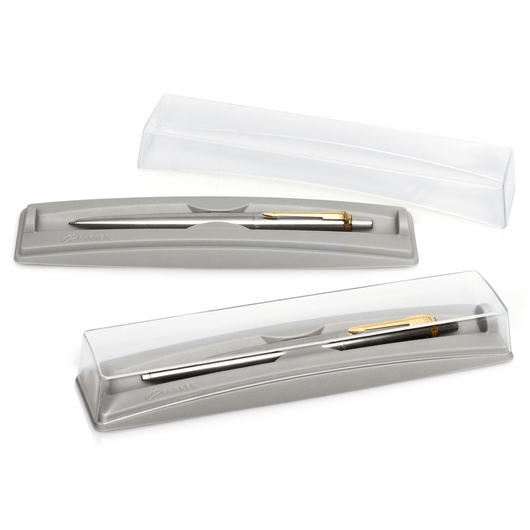 A classic Parker pen, featuring your logo at a great price! A classic from the Parker range at an affordable price. Whether you would like these pens printed or laser engraved you won't be dissapointed! You can place your logo on the cap or upper barrel for personalisation and a lasting impression. The pen is black with chrome trim and uses blue ink by a push action retractable ballpoint.